Most people love the taste of sweets, and they're seldom disappointed -- sugar is added to an array of foods, including soda, breakfast cereals, baked goods and even to foods not normally considered sweet, such as bread and canned soups. As of 2010, the American diet has 19 percent more sugar than in 1970, according to "TIME Magazine." Rates of obesity and some chronic diseases, such as Type 2 diabetes, heart disease and stroke, have increased right along with it. 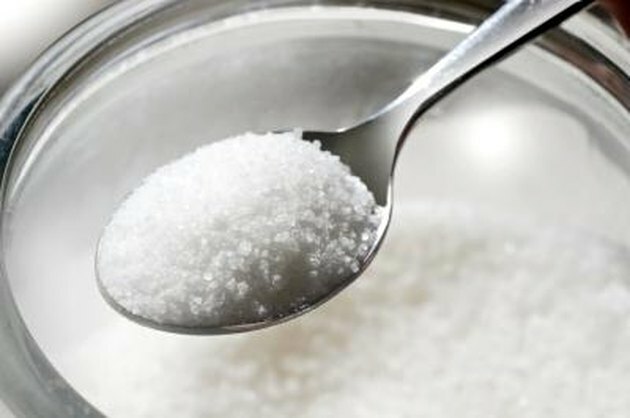 The American Heart Association recommends men limit added sugar to 36 grams, or 9 teaspoons, per day. Women should limit added sugar to 24 grams, or 6 teaspoons, each day. An additional recommendation calls for limiting sugary soft drinks to 36 ounces every week, or 450 calories at the most, based on a 2,000-calorie diet. The calories from soft drinks cause more weight gain than the calories from solid foods. 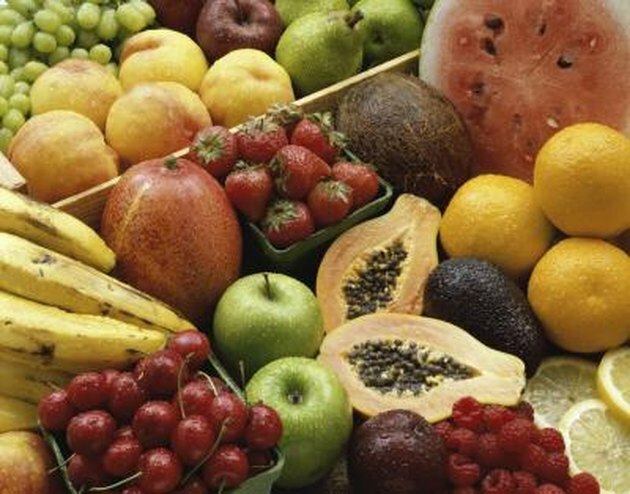 These limits only pertain to added sugars, not sugars that occur naturally in some foods, such as fruits. The average American consumes 21 teaspoons, or 84 grams, of sugar daily though; far more than recommended. Read nutrition labels and ingredient lists to find out the type and amount of added sugars in a food or beverage. Added sugar goes by many different names, including high-fructose corn syrup, brown sugar, sucrose, honey, molasses, raw sugar, corn sweetener, invert sugar, corn syrup, malt syrup, fructose, glucose and dextrose. Excess sugar intake can cause cardiovascular disease. A 2010 study published in the "Journal of the American Medical Association," which was led by Dr. Miriam Vos, a professor of pediatrics at Emory University, found that people who consumed an average amount of added sugar had increased blood levels of harmful fats. Low-density lipoprotein, or LDL cholesterol, and triglycerides were increased, while protective high-density lipoprotein, or HDL cholesterol, were decreased. 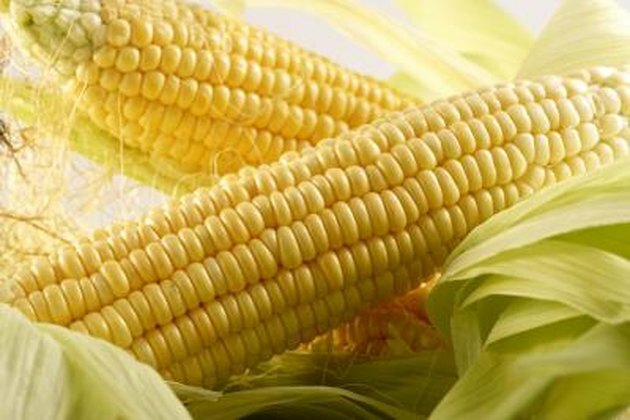 Researchers believe these effects are related to fructose and to high-fructose corn syrup in particular, an inexpensive industrial sweetener used in most soft drinks and in many processed, packaged and canned foods. 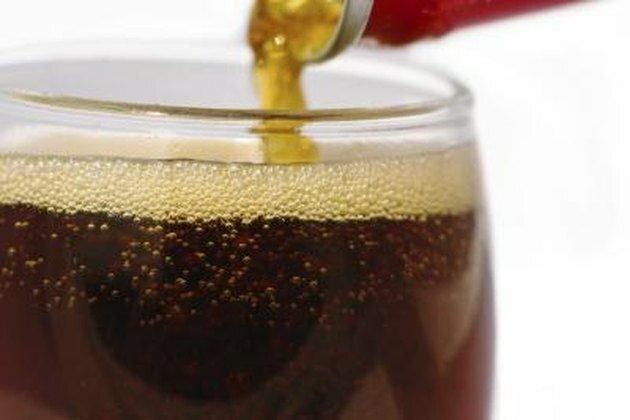 People who drink just one 12-ounce serving of soda or other sweetened soft drinks each day have a 15 percent higher chance of developing Type 2 diabetes. 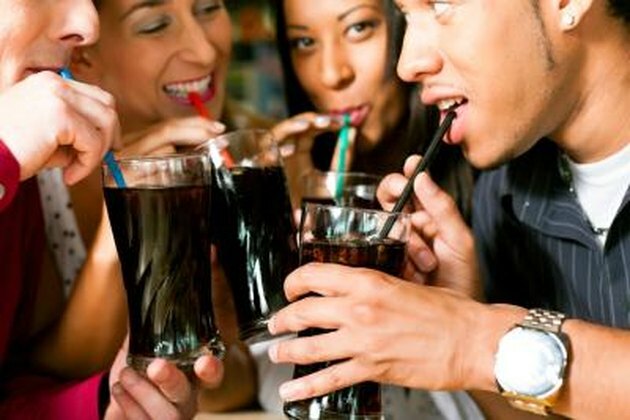 Those who drink two servings, increase their risk by 26 percent, according to an analysis of data from 11 studies performed by researchers at the Harvard School of Public Health and published in the November 2010 issue of the journal "Diabetes Care." One 12-ounce soft drink contains an average of 10 teaspoons of sugar, which exceeds the daily limits of added sugar for both men and women.